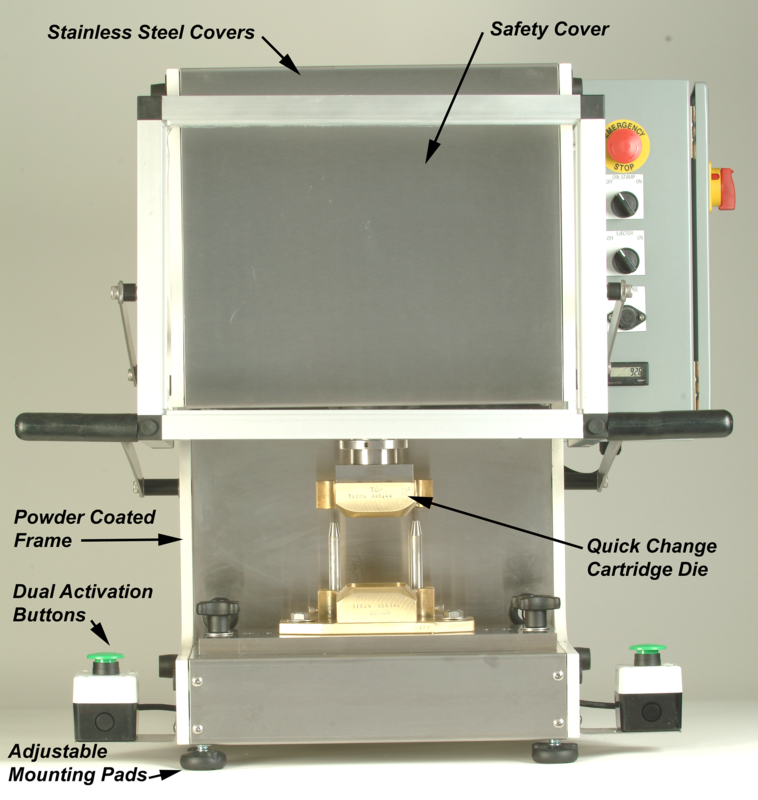 The model LS-1 Soap Press is designed for pilot plant or low production usage. This press is electrically operated and requires no auxiliary air supply. No special wiring is needed, only ordinary single phase supply. 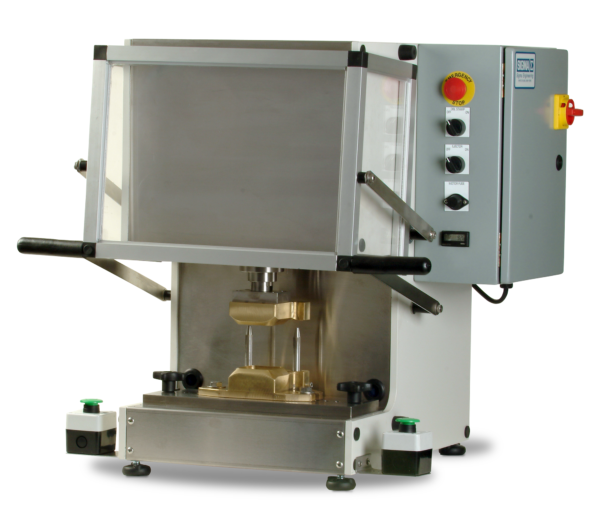 The machine exerts approximately 1 ton of force and is suitable for most types of soap. The quick-change cartridge die makes this machine well adapted for applications where dies are changed frequently. The die can be changed in less than 5 minutes without using any tools. For safe operation, 2 mushroom head pushbuttons must be engaged simultaeously. 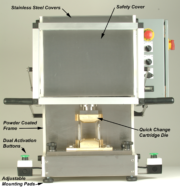 Releasing the buttons automatically stops the movement of the upper die. LS-1 is delivered completely wiring including a bottom ejector which can be turned on or off. A digital counter is also included.